President Xi Jinping of China made an official state visit to the United States in September 2015. 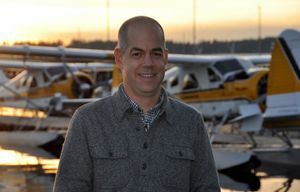 He stopped in Seattle, Tacoma and Everett before heading on to Washington, D.C., to meet with President Obama and to the United Nations in New York City. Q&A: Was this week’s traffic mess during President Xi’s visit avoidable? 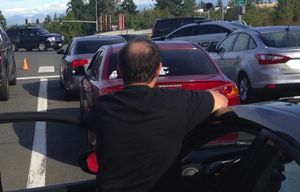 Washington state officials respond to questions about road closures and gridlock caused by the Chinese president’s motorcade. 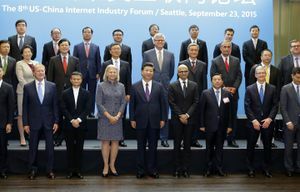 Something extraordinary happened Wednesday on the Microsoft campus: the titans of the U.S. and Chinese tech industries posed, class-photo style, with the president of China. 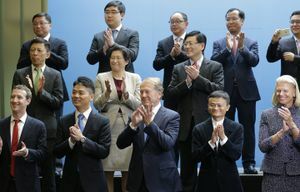 The company announces a litany of agreements and deals with Chinese business and government agencies. 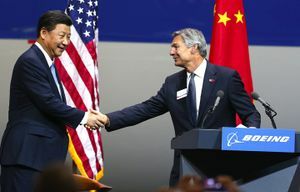 Boeing welcomed Chinese President Xi Jinping and announced plans for a 737 completion center in China.